I have always been a big purse kinda-gal, but diaper bag gave me fright, carrying a big bag, baby and then running around with it, when the little one throws her tantrums ‘Lord save me’. So when I saw this dinky little bag at Primark, I couldn’t contain my exictement. And it’s so amazing how much it can hold. Here are my essentials that go around with me on a daily bases. Coach wallet – I got this one at a factory outlet 2 years ago I believe. My husband picked it up for me since I was going to get the basic black wallet, is when he called me a “bore” and asked me to get this one because he loved the little pop or coral/orange in it, so I had to get it. Ted Baker Body Spray – It’s spring in a bottle I have the matching lotion. Who doesn’t love smelling good, while carrying round a cute bottle? Tanya Burr Lipgloss in Picnic In The Park : If you are following me, you know I have been smitten by these glosses specially this shade, it’s literally a picnic in the park, which I wore today when we went out for a picnic at the park lol. What kind of a bag do you carry – Big or small or no bag at all? 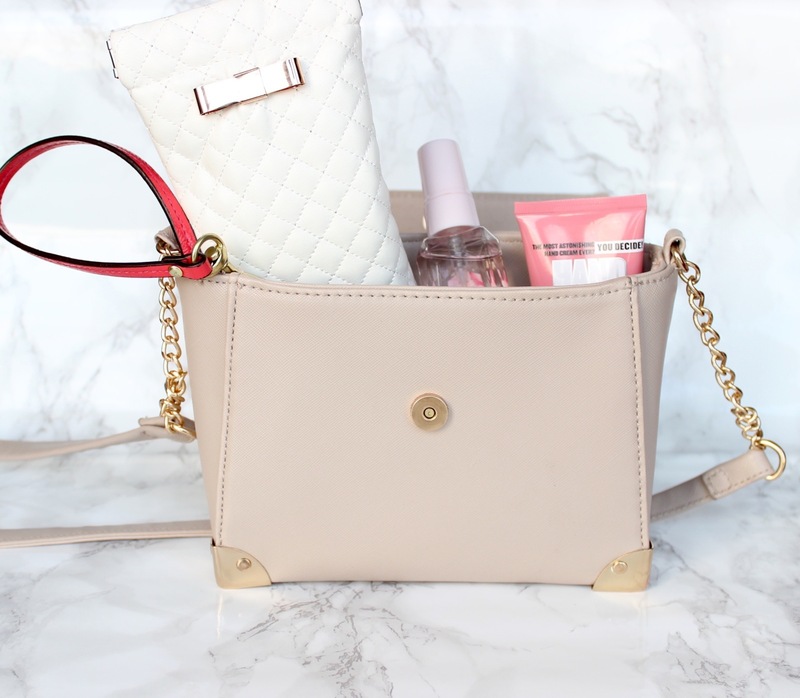 Would love to know what are your purse essentials? When you are trying to take pictures lol, leave a hashtag for this picture I don’t think so it’s #joysofmotherhood, or maybe it is!